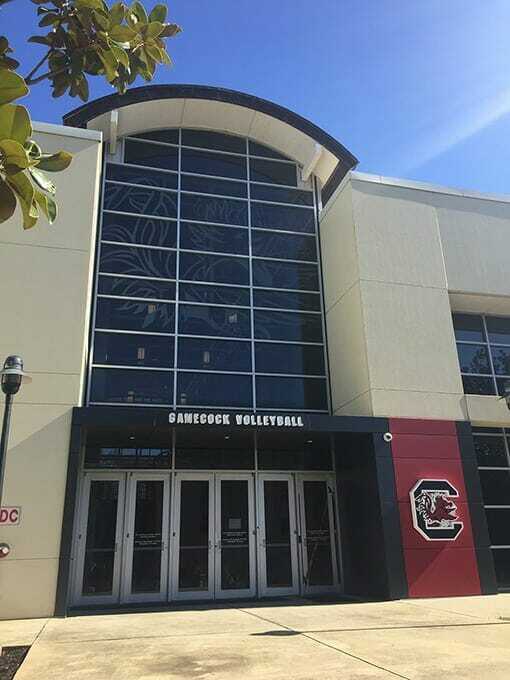 The continued rise of the University of South Carolina’s Women’s Basketball and Volleyball programs initiated the need for functional graphic improvements to their now 20-year-old practice facility. 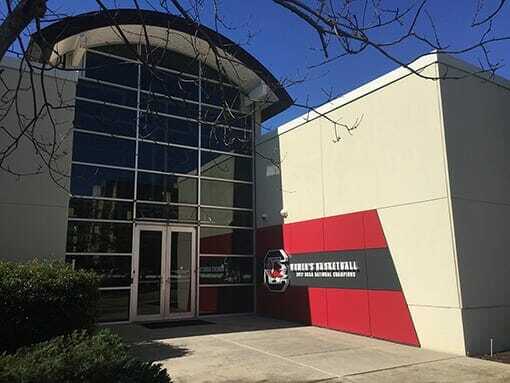 Exterior entry enhancements bring the respective program spaces in line with the University’s current graphic identity and unify this facility with the newly renovated entrance to the Men’s Basketball offices next door. The addition of aluminum composite panel systems, canopies, and LED signage/graphics at the two distinct entrances more clearly identify each program’s home. Aligning the interventions with the current building’s curtainwall entryways and modern aesthetic, the goal of the upfits was to feel as if they had been part of the original design while adding a much needed graphic identity. This project was designed in association with Advent Graphic Design.